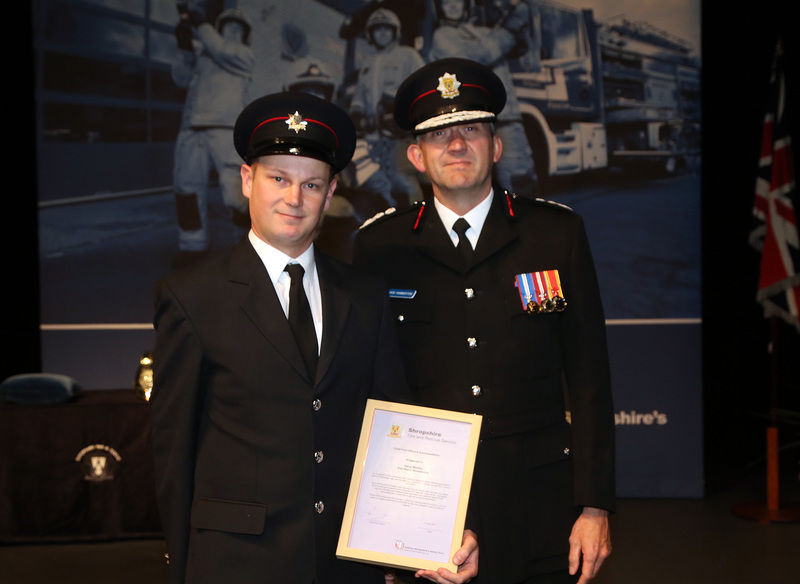 A “cool-headed” firefighter who saved a young man’s life as he prepared to jump from a Shrewsbury bridge has received the Chief Fire Officer’s Commendation for his action in averting a potential tragedy. Steve Westley “displayed great calmness” last July when he talked to the distressed man for ten minutes before finally persuading him not to jump 30ft into the Severn below. 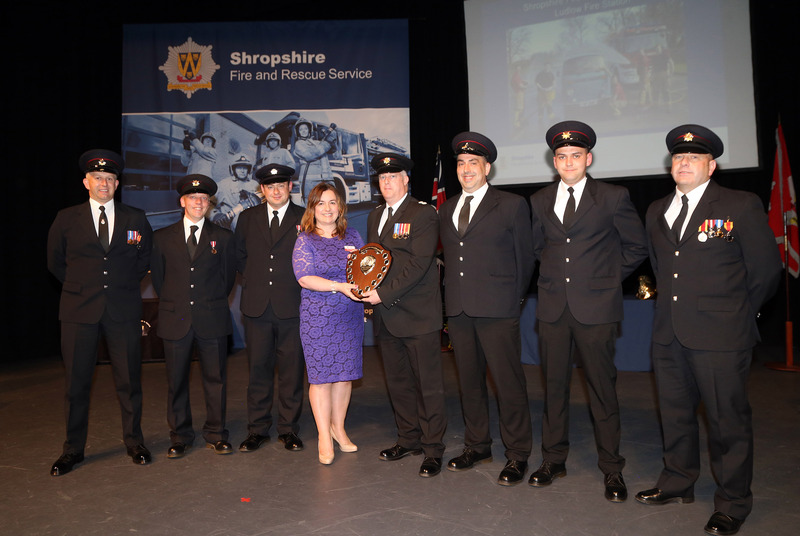 The firefighter from Red Watch was among a number of awards recipients at last night’s Shropshire Fire and Rescue Service awards ceremony (June 8) held at Theatre Severn in Shrewsbury. 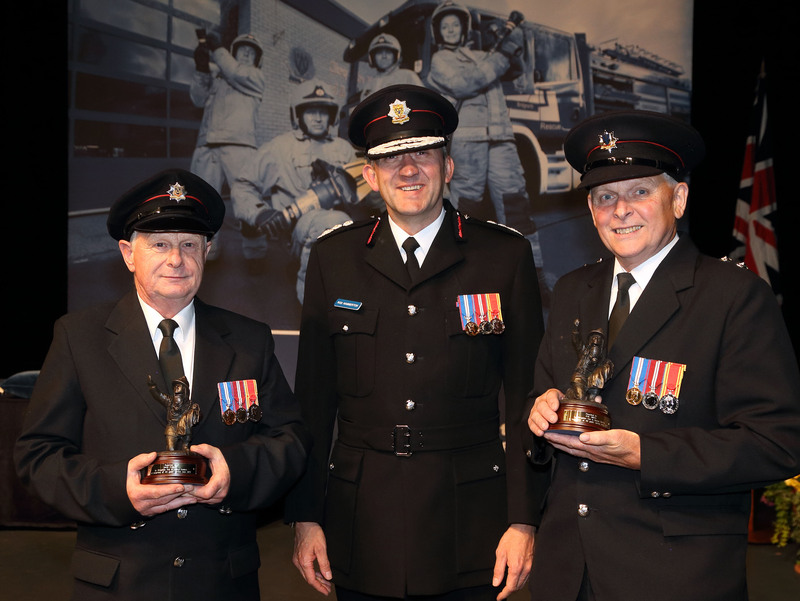 Wem firefighters Phil Smith (61)and Dave Furber (64)were commended for their “huge achievement” of more than 40 years service. While firefighters from Blue Watch, Shrewsbury, received the Good Citizens’ Award from High Sheriff Charles Lillis for their outstanding efforts, hard work and caring attitude in giving fun and laughter to children from Chernobyl who have a short life expectancy due to the nuclear fallout from an explosion in 1986. Ludlow Fire Station was awarded the Dave Bishton Challenge Shield for raising more than £4,000 in 12 months for the Fire Fighters Charity with car washes, raffles and collections. Four firefighters from Much Wenlock, Shrewsbury and Wem, were honoured for 30 years service while 19 also received the Long Service and Good Conduct Medal from the Lord Lieutenant Algernon Heber Percy for 20 years service. The Lord Lieutenant said that “it can’t be easy” to deal with a motorway crash but when he sees firefighters at the side of the road he thinks of their professionalism, excellent training and bravery at the scene of an incident. Chief Fire Officer Rod Hammerton said that in a fire, explosion or car crash, firefighters run towards danger when most are running away. 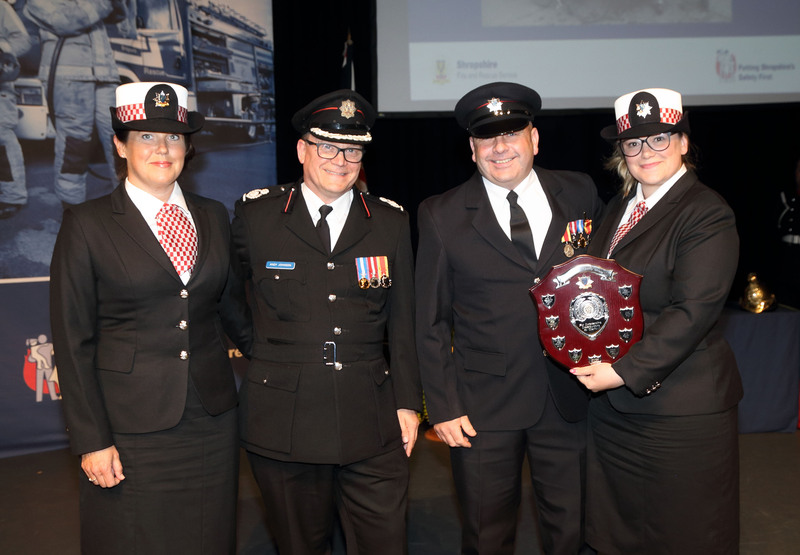 Those recognised with awards had “gone the extra mile” gaining admiration and respect for their selfless and compassionate behaviour. “All the individuals we are honouring tonight, whether firefighters or members of the public, have one thing in common. They made a difference. They acted not in their own interests but in the interest of others.